Whether you're in need of a duplicate of a key you own, or have lost them all, we can assist! Keys locked inside your Honda? Need it unlocked? In need of more than a simple car door unlocking service for your Honda Vehicle? We can cut and program a new transponder key. Want a remote key? We sell those as well. Our locksmiths know Honda's. We can take care of most of your problems and concerns as it relates to the locks. Our team can assist with simple lockouts, to more complex ignition switch repairs, commonly needed at or around 100,000 miles for most Honda vehicles. This ignition wafer service ensures smooth operation of your ignition cylinder for miles to come. Worn ignitions can fail at a moments notice. Leaving you stranded. If your Honda is experiencing a lock and key issue, give us a call today. UnlockItForMe's team of professional locksmiths is able to assist with these situations and more. Keys locked inside your Honda? Don't worry! Quick and affordable locksmith services are just a click or call away. We can arrive quickly and provide safe and effective service to unlock your car door. There is no need to apply dangerous force from a crowbar, screwdriver or any other tool which will damage the paint. Our Honda locksmith technicians use only industry approved tools which are safe for paint and plastic car parts. 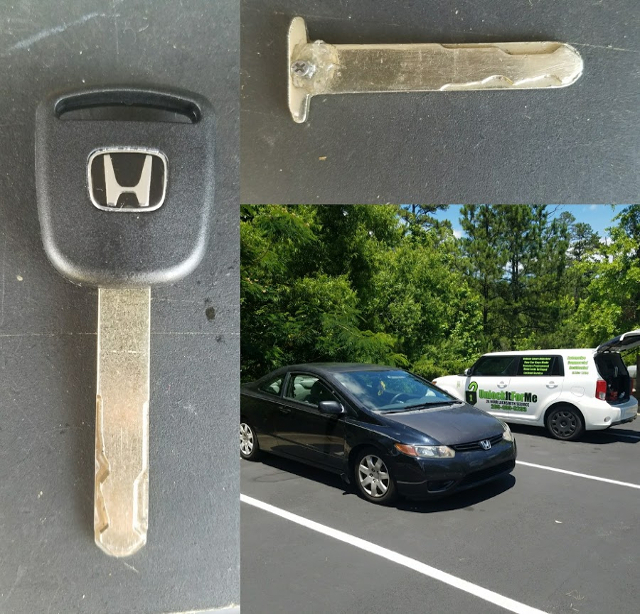 There is no need to cause hundreds of dollars in ugly paint damage to your Honda because you locked the keys inside the car. Give us a call today for a fair and honest price. Is your key lonely? Many cars only have one key. Sure you can only use one at a time, but what if it became lost or damaged? Many times just a simple drop or misstep can effectively take away your freedom! Car keys are powerful little devices when you stop to think about it. Honda car keys implement a high-security key blade on the later year models. We can cut car keys for Honda and Acura vehicles from 1990 to 2019. We offer factory original key replacement. These Honda keys will be Genuine OEM Honda Keys. 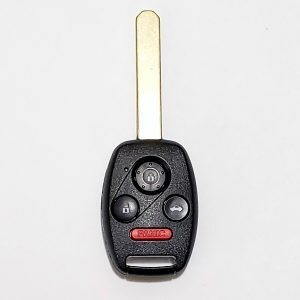 Transponder keys and remotes for your Honda car truck or van are just a phone call away. Having a key that doesn't quite work right is frustrating. Having a car key that is cut incorrectly is no different. Don't waste your time going to a shop that copies keys on the spot only to find out later they don't work. Our locksmith comes directly out to your Honda and will ensure factory fitment of an OEM set of car keys. Newer Honda vehicles equipped with push-button ignition systems are also serviced by our locksmiths. Don't be fooled. Many automakers are getting away from traditional car keys because of the flood of aftermarket parts. They want you to believe you must return to the dealer for keys costing as much as $500 or more. UnlockItForMe offers affordable car key replacement for your Acura or Honda vehicle. When seeking replacement keys for your Honda car, van, truck or SUV, you will find a daunting number of options available. How do you know where the fine line between low price and high quality lies. We've done the guesswork for you. Our automotive locksmiths have years of experience replacing and duplicating Honda keys and remotes. First and foremost your vehicle will always be treated with care. Second, we only use OEM quality transponder keys and remote fobs. 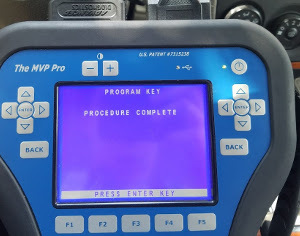 Additionally, we only use genuine high quality advanced diagnostics gear to connect to and communicate with your vehicles computer systems. Cheaper knockoff products used by "discount" locksmiths can often risk damaging your vehicles expensive computer. We can provide keys and remotes for nearly all Honda's. Especially those 1998-2019. On certain older vehicles, you will find that in a scenario where all keys are lost to the vehicle, replacement prices can seem ridiculous. 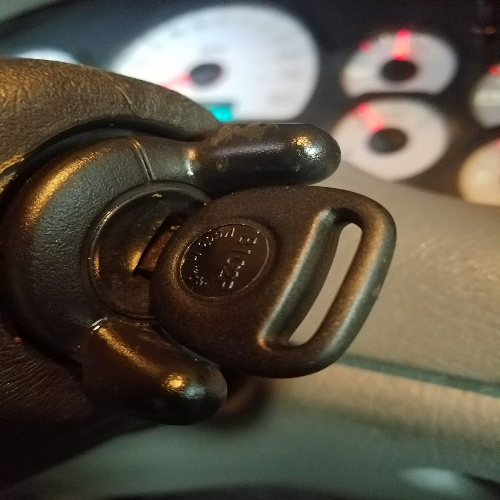 The fact of the matter is on older vehicles equipped with an earlier model of immobilizer, you cannot access the vehicles computer via the onboard diagnostic system to erase and add car keys. Therefore, on these vehicles is its required that the immobilizer is removed and reflash or replaced. First of all, the dealer charges too much. Second of all, it's not a daily or even weekly task for them. 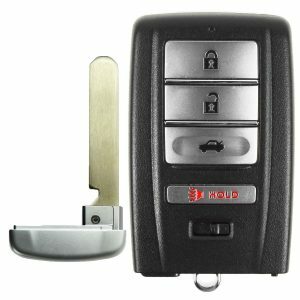 An automotive locksmith has the far greater expertise for immobilizers and computers as they relate to the vehicles car keys. New Keys for Your Accord, Civic, CR-V & More! One thing is for sure. Car buyers love Honda’s entire lineup. Sales are the highest they’ve ever been and climbing for best-selling Honda vehicles. We cut and program keys for the entire Honda lineup, not only the Civic, Accord, and CR-V. OEM Honda Keys, without the hassle. Whether your situation is all keys lost, or you're simply in need of getting a spare key, we can assist. Moreover, you do not have to have your vehicle towed. Our locksmith will come out to the location of your Honda. Therefore, choosing UnlockItForMe when you have lost your Honda keys, is the smart choice! We save you time and money. Providing fast and cost-effective solutions for your locksmith needs. Did you know we can also repair Honda Locks and Ignitions? Many folks do not consider that the door locks and ignitions are a wearing part. With time your Honda may begin to exhibit signs of lock trouble. If you insert your key into the lock and find it difficult to insert, turn or remove, this indicates a potential issue. If ignored, you may find yourself in an emergency situation where you are unable to gain entry to or crank your vehicle. A locksmith is an excellent choice for repairing your Honda locks. The dealership often has less experience and charges double or even more for the same services. Locksmiths have years of experience servicing the locks specifically so you are guaranteed an excellent result. Consider having ignition cylinder repaired by 100,000 miles to avoid issues. Instead of replacing the locks entirely the lock can be refurbished with new internal parts.